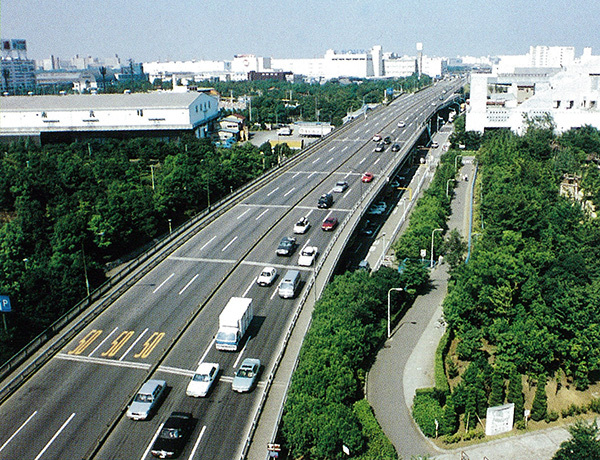 REKIPHALT is an adhesive improved polymer modified asphalt for concrete deck slab bridge surface paving, and is standardized as a polymer modified asphalt type III-W. It is ideal for use in locations where damage is anticipated due to stripping. 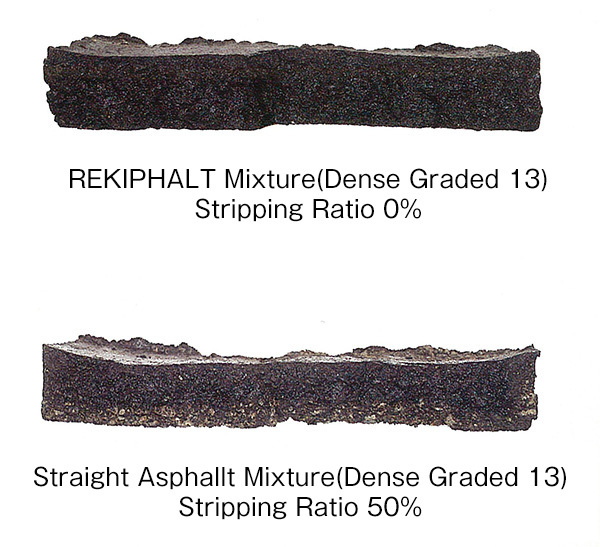 Compared to polymer modified asphalt type II, LEKIPHALT has the following features. Has outstanding adhesion to the aggregate, which prevents occurrence of the stripping phenomenon. Has outstanding plastic deformation, wear resistance, and shock resistance. The mixture manufacturing and implementation ability is the same as for normal products.